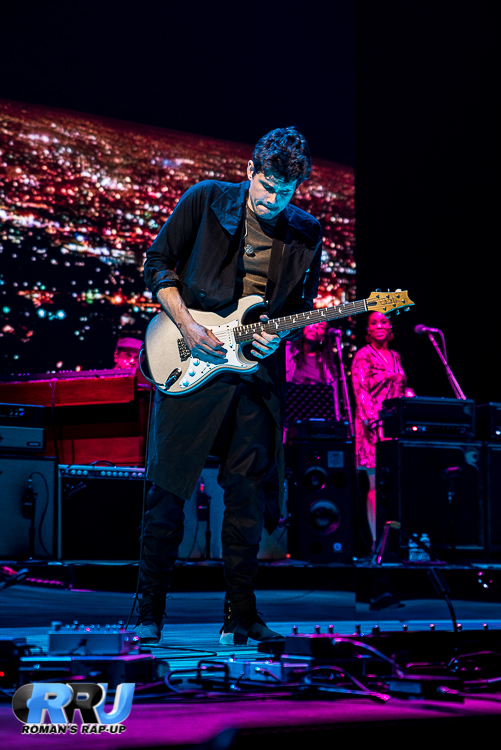 John Mayer performs at Boston's TD Garden on April 9th, 2017 (Benjamin Esakof/Roman's Rap-Up). 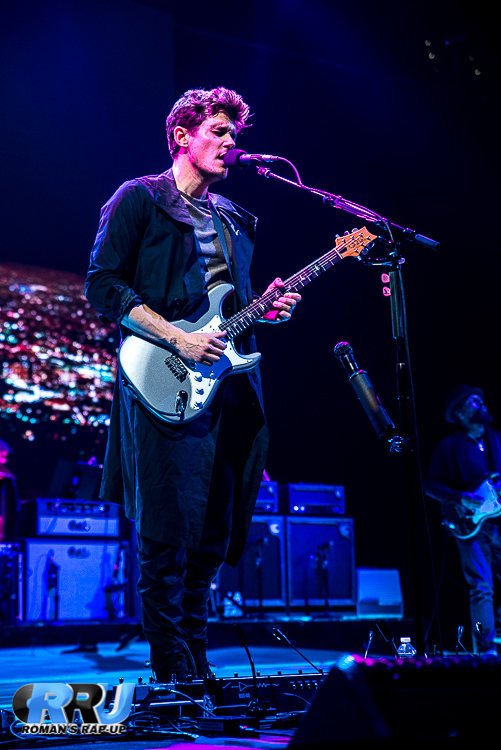 John Mayer performed his “Search for Everything Tour” to a sold out TD Garden on Sunday April 9th. 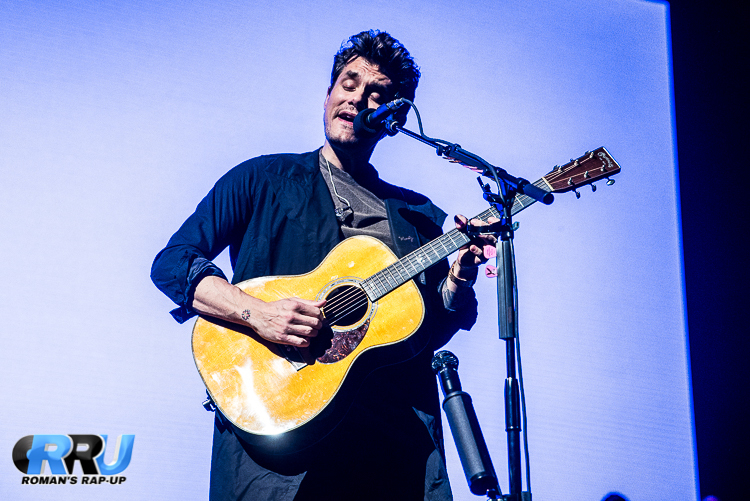 Mayer, known for soothing pop rock, gives off a vibe of tranquility that seemed to resonate within the whole arena. 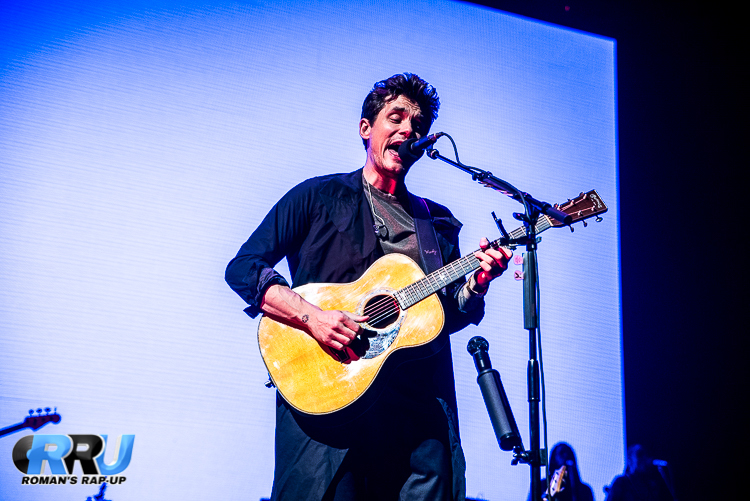 He opened the show with “Chapter 1 Full Band,” with songs such as “Moving On and Getting Over,” “Love On the Weekend,” and “I Don’t Trust Myself (With Loving You)” that showed a tender, joyful, and vulnerable side to the singer. These are all songs off of his most recent album, The Search for Everything, which Mayer is releasing in waves in 2017. 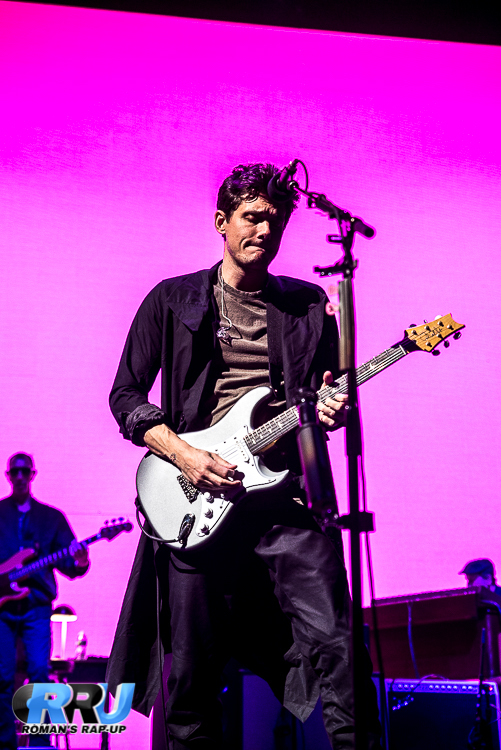 It's a unique way to release new music, but much like Mayer’s overall persona, it’s quirky and different from the Mayer that the pubic used to know. 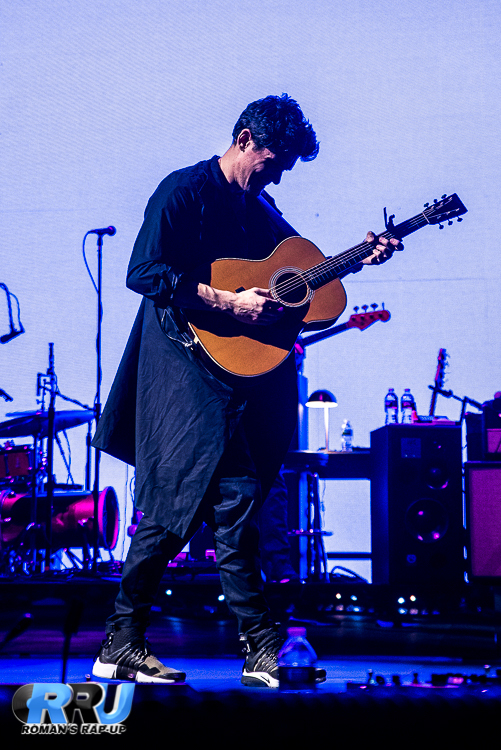 During the performances, Mayer played his bass guitar singing each ballad, as if they were his anthems, demonstrating the raw emotion and connection he has to his new music. 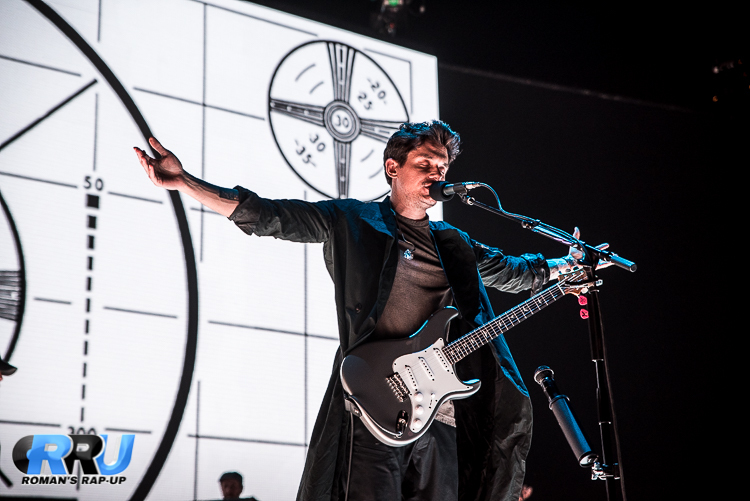 “Chapter 2” of his set was titled “Acoustic” and included songs “Emoji of a Wave,” “Neon,” and the crowd pleaser “Free Falling.” “Chapter 3” of the show recognized the trio he is involved in that holds a bluesy rock sound. 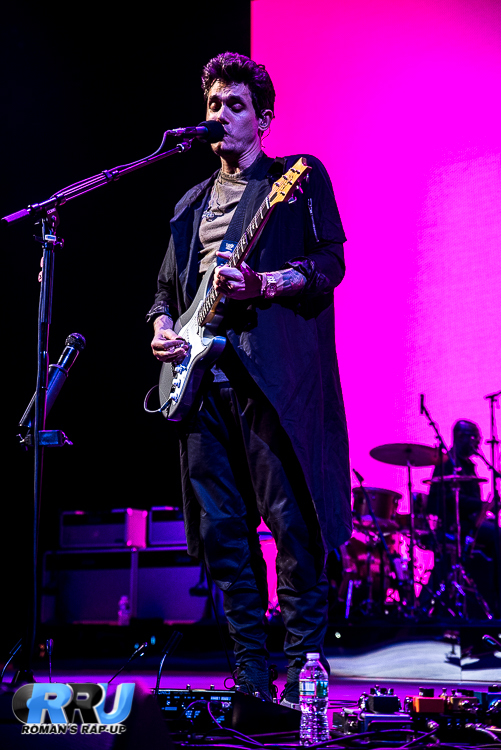 The group includes bassist Pino Palladino and drummer Steve Jordan. 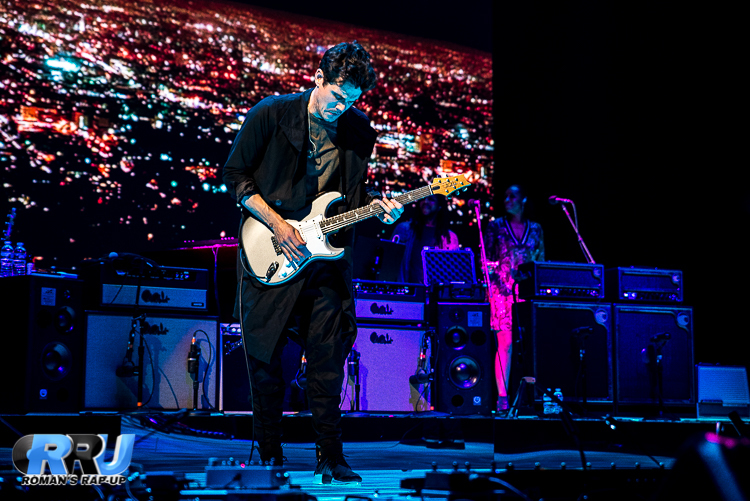 The three musicians performed “Vultures,” a cover of “Go Johnny Go,” and “Bold As Love.” This chapter also included lengthy instrumental solos, highlighting the raw roots of the group. 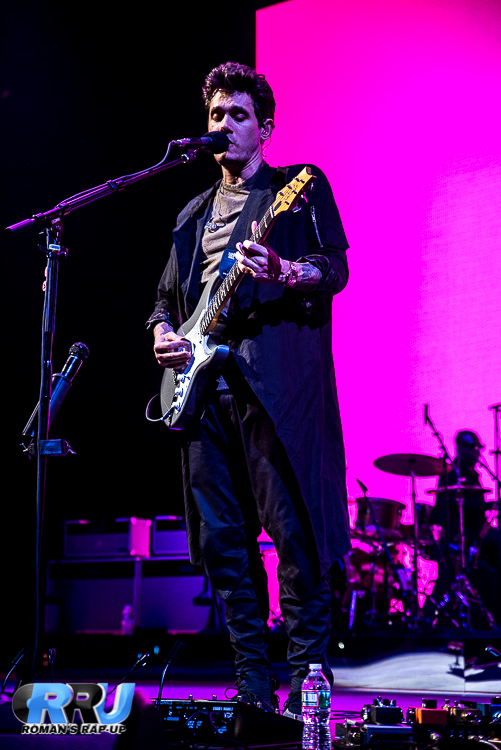 “Chapter 4 Full Band (Reprise)” followed next with “Changing,” Slow Dancing In A Burning Room,” and “Still Feel Like A Man.” Therefore, the latter chapters contained more of a mix of new and old hits, mixing up the set list to pay attention to The Search for Everything without fulling leaning on it. 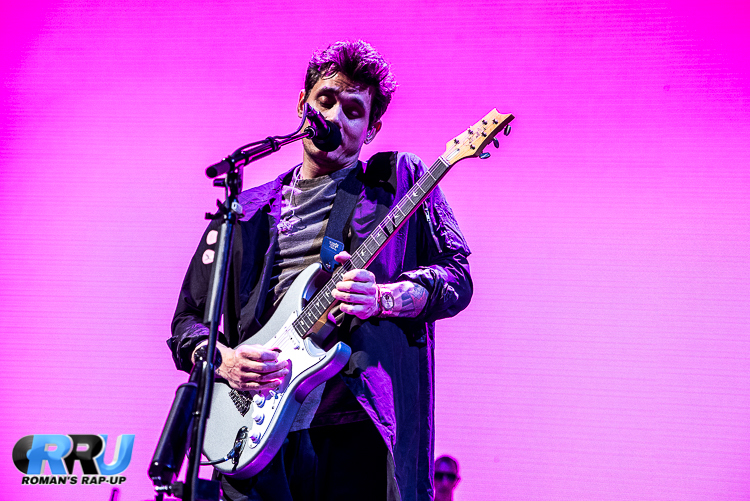 John Mayer took a quick break to recognize his fans and discuss his recovery from the down spiral of his career a few years prior. He took a moment and stated, “Most people realize things, and the train has already left the station, but I've realized things and luckily the train hasn't left quite yet.” He then sang “Why Georgia Why,” breaking out his harmonica and singing “Gravity,” to audience members who knew every single world. These are both staple Mayer hits that round out his long yet successful career, and both hits also delve into the recovery from tough situations. This directly reflects Mayer’s actual life, making them ideal choices to finish out the show. 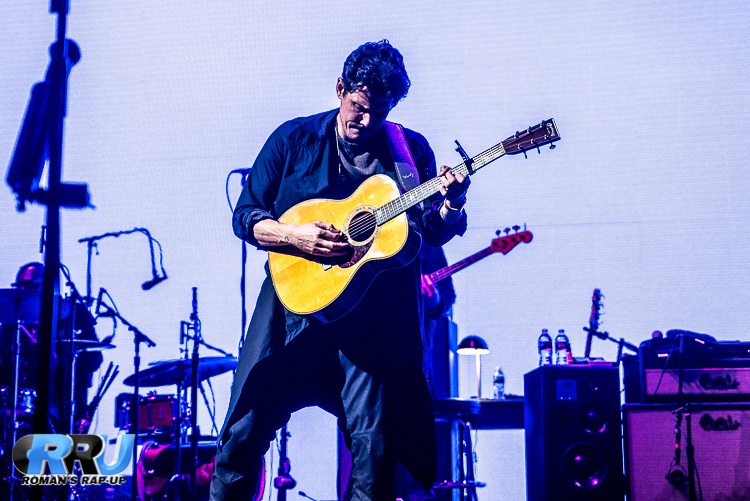 After the song finished, he exited the stage, as the crowd begged him to play one more song. 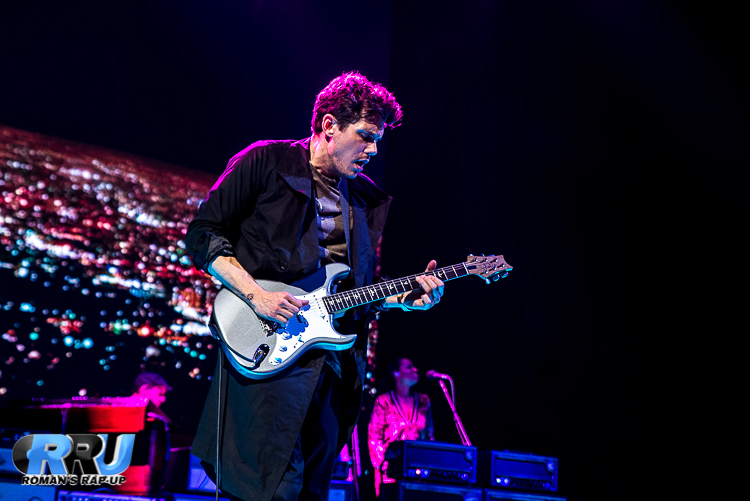 Mayer returned to the stage for “Chapter 5,” the epilogue. He played piano, whistled, and sang “You’re Gonna Live Forever In Me.” When the song was over he took a bow and left through the white door in the white screen. 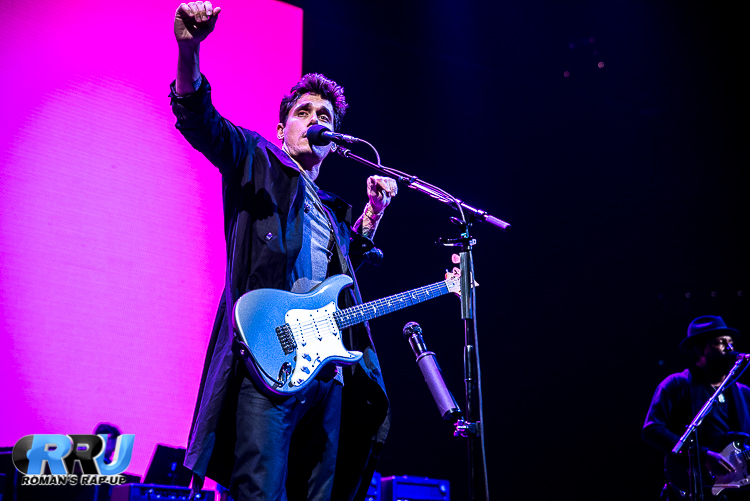 Though Mayer has created his own pitfalls in his career, it seems that his talent and reset mentality has carried him through to a better place, and fans can expect a consistent turnaround from the pop rock crooner in the future.